Six more months. Spring is such a tease. 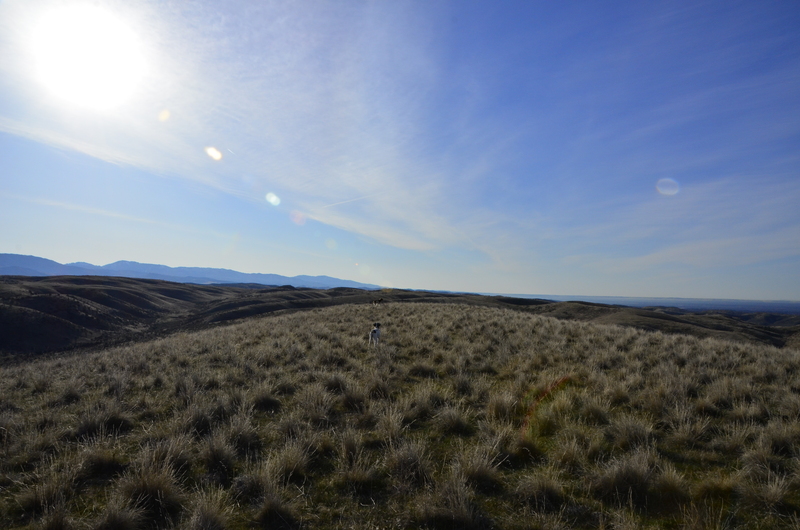 Angus and his new little buddy, Ava (I wish I could say it was our new puppy, but it’s a friend’s) got into some Huns today in some nearby BLM land. 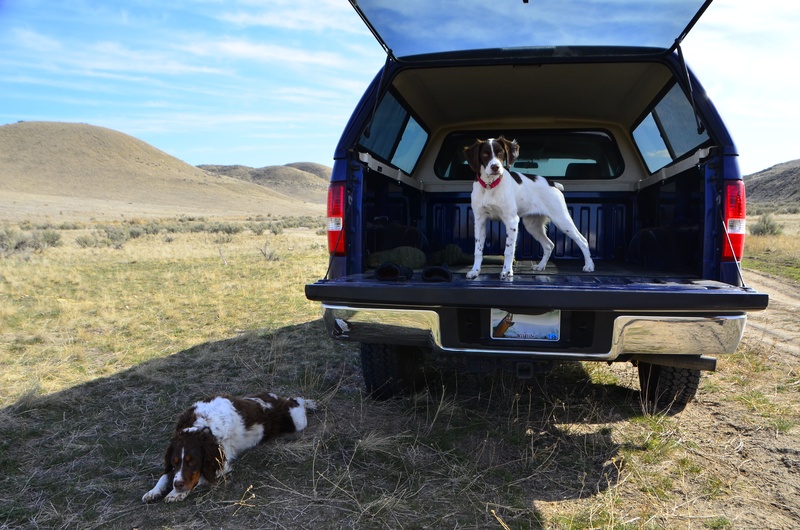 Ava watched Angus hog the points and got snoutfuls of bird scent. She’s going to be great come September. Angus missed some birds that we flushed, but finally seemed to dial it in near the end of our walk. The waiting is tough. 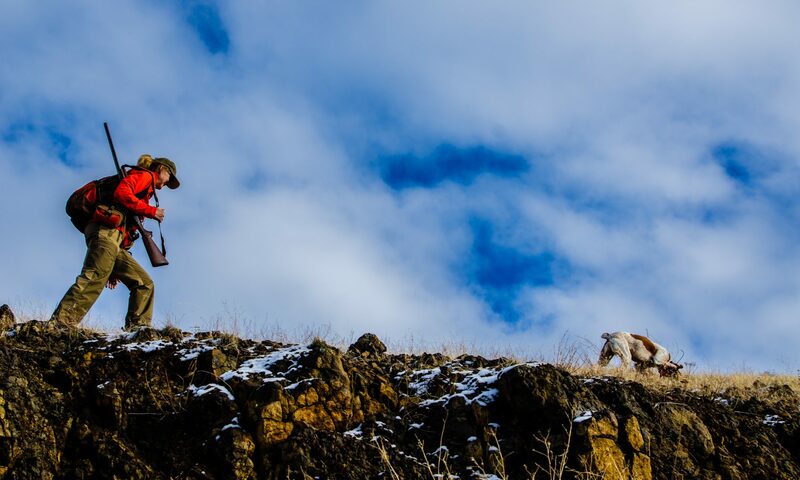 Getting out with the dogs is still far better than the alternative, even without a gun. I’ve got a new pup to help make my spring a little more exciting. Jake is ten weeks old tomorrow. Hey Larry, good to hear from you. I was looking at your new pup this morning on your blog. Wow! Good luck with him, and I hope you don’t lose any nice leather footwear to him in the coming weeks! No, no pads needed. Lucky? Not sure, but countin’ my blessings.